A storm is coming, a city is burning, and the only thing that stands between massive floods and a million deaths is an illegal team of transcendental athletes. Horror. Fantasy. Sports. A new series in contemporary fantasy begins today. Many thanks for supporting an independent author, and a small business. The Icons of Man: Book One is available NOW on Kindle and PAPERBACK. Go to Amazon to buy! Also available at Amazon UK! 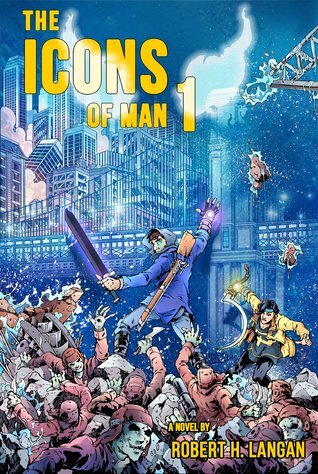 The Icons of Man: Book One is also available NOW on Kobo! The Icons of Man: Book One is also available NOW at Smashwords! Check out our Goodreads Giveaway! Now available for FREE at Noise Trade! DON'T LET THE DARK THOUGHT WIN. MIND OUR THOUGHT-FEED TODAY! Mind the Meta-School's thought-feed to keep apprised on the latest news in the world of Roslyn, including bonus content and behind-the-page info from the author himself.